Let us help you find your perfect pet! This is a vital & valuable service to help you choose & prepare for the right pet for your family/lifestyle. The decision to acquire a new furry friend is always an exciting one - there is so much to look forward to & fun to be had! Many owners have questions &/or concerns about getting a pet for the first time, or adding to their existing family. Inspiring Pet Teaching can provide advice on choosing a breeder, knowing what to look for & what questions to ask them; or guide you through the process of adopting a pet from a shelter/rescue organisation. I can give you realistic information about pets' needs, as well as the time & financial commitments required by all pets, & help with decisions on your chosen pet’s suitability for your family. Let me take the stress out of these life-changing decisions, helping you to avoid the pitfalls & mistakes too often made. These sessions may be run as one-to-one or occasional group classes - let me know your needs! Although in the majority of cases, the face-to-face approach is most appropriate for pets & their owners, sometimes it is possible to tailor training plans by “remote control”, with a written follow-up summary +/- tailor-made tutorial videos to back up training plans. The use of YouTube & Skype technologies may be helpful for these sessions. Contact me to find out how I can help you. Children & dogs have a lot to offer each other, & can mutually benefit in many ways from living together. Everyone loves the idea of kids & dogs playing happily together & keeping out of mischief. Dogs & people communicate differently, & without the right knowledge & guidance, things may not go so well... Whilst cases of severe dog bites are thankfully uncommon in the U.K., a high proportion of those which occur involve young children. Many of these incidents are preventable through careful education. Modern family life can be tough on pets - let’s make it fair on our best friends & safer for the children in our lives by being attentive to both, learning what dogs are telling us, being their advocates when necessary, & supervising interactions. It is so important for children (& adults) to learn how to behave around dogs, with proper supervision and education. Even if you do not have a family dog, children will encounter dogs & should still learn to ‘speak dog’. Inspiring Pet Teaching can provide education & resources for parents & their children to help make kids & dogs safer & happier together. These sessions may be run as one-to-one or occasional group classes (e.g. in schools) - let me know your needs! Read more on our resources page. Although we feel strongly that there's no substitute for the joy, bonding & feeling of accomplishment of training & learning with your dog, sometimes there are occasions when you need some extra help, e.g. when time doesn't allow, or due to physical difficulties. 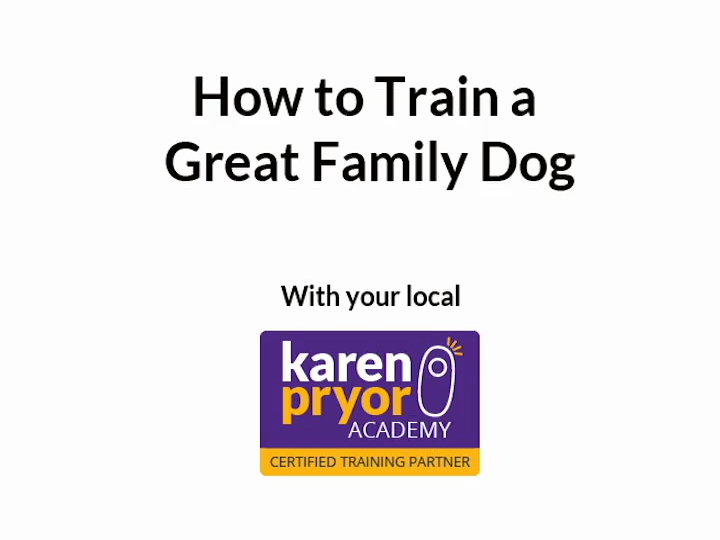 In this case, it may be possible to arrange for Linda to come to your home & train with your dog if you cannot be there, or are unable to do the training for some reason. This can often be useful to kick-start intensive training. We would do a thorough hand-over of what your dog learned, teaching you all you need to know to continue & keep up the great work, usually in conjunction with Linda during regular follow-up lessons. Contact us for more information. How else can we help you? Take a look!